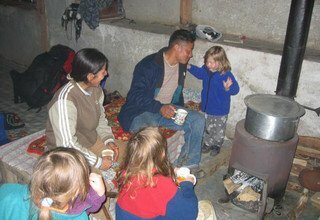 Tamang Heritage Trail Trek for families is a short yet unique trek in Langtang region opened to visitors only since 2004. 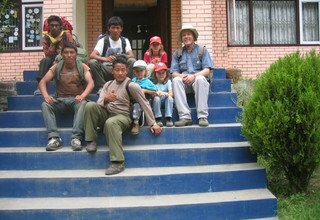 The trek is perfect for families who are limited on time and want to experience the true beauty of Nepal without long and hard walks. 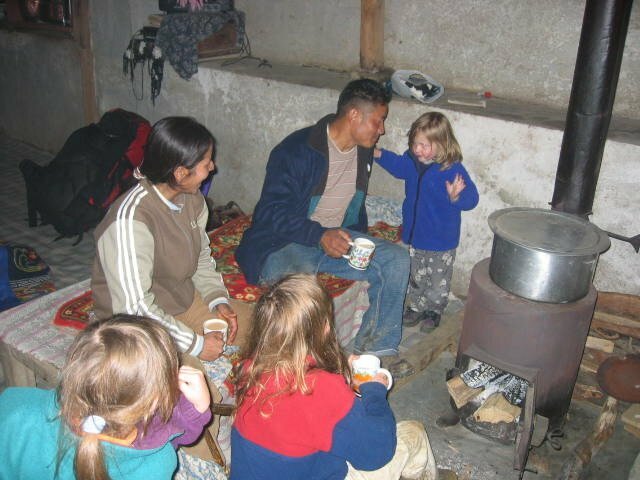 Tamang Heritage Trail for Families is one of the treks that offer the never-ending beautiful scenery of the Nepalese hills along with an insight of the traditional Tamang culture and their way of life. The 11-days journey begins upon your arrival at Tribhuvan International Airport in Kathmandu followed by the 6-7 hours long drive to Sybrubensi in next day, the starting point of the trek. 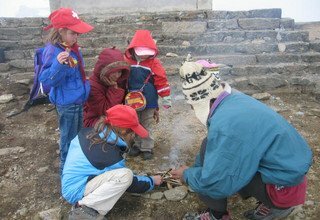 The Tamang Heritage Trail Trek features exploring the rich traditional culture and age-old way of life of the Tamang community. 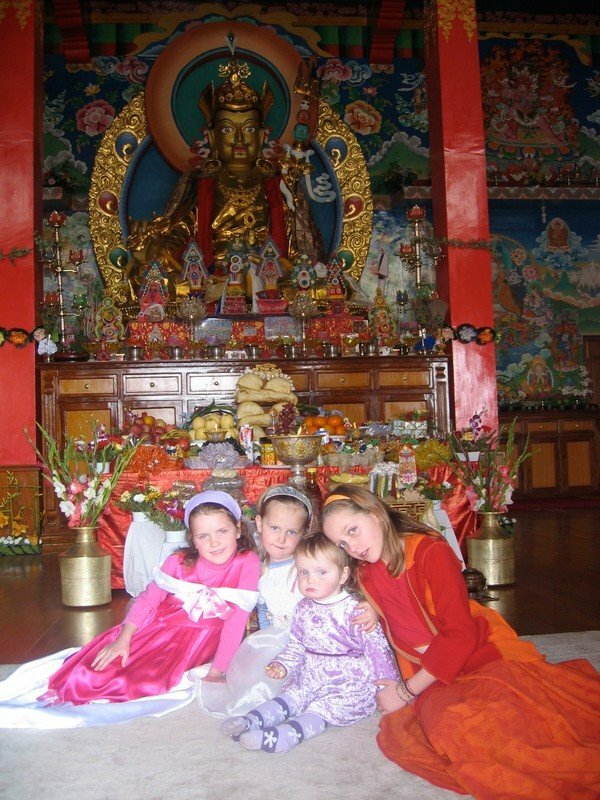 The family gets an opportunity to experience the Buddhist way of living and the unique architecture of their houses. 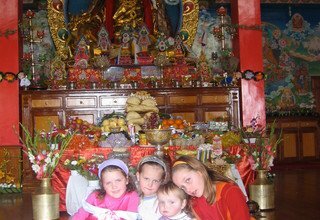 The family also comes across different ancient monasteries, Chortens, stupas, and Mani walls along the way. 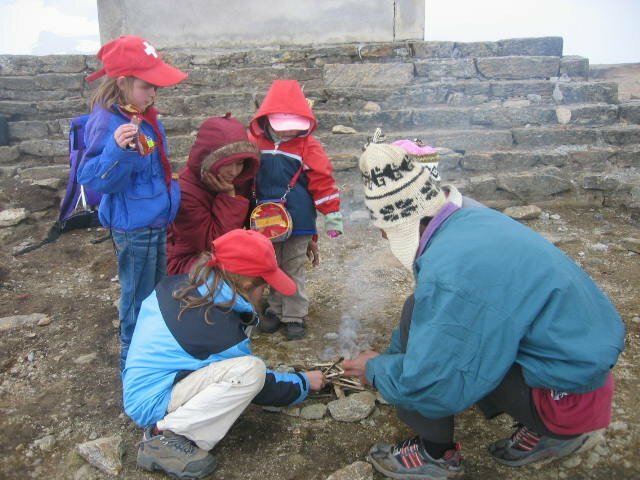 Besides culture, the trekking trail is equally rich scenically, offering beautiful landscapes of sub-alpine terrain, lush forests full of rhododendrons and pines, and breathtaking mountain views. 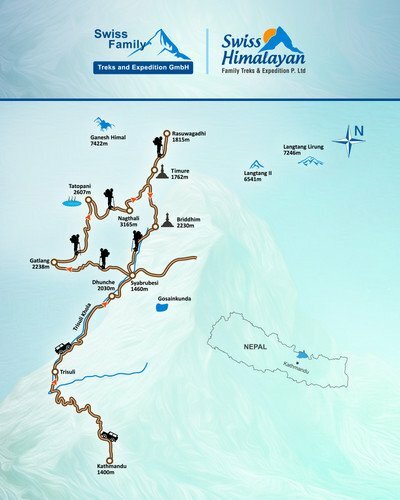 Majestic views of the peaks of Langtang Himal and Ganesh Himal ranges accompany you during the trek. The trekking trail also passes through Tatopani (a natural hot spring), the secret lake of Parvati Kund, the picturesque village of Gatlang, and the historical fort of Rasuwagadhi. 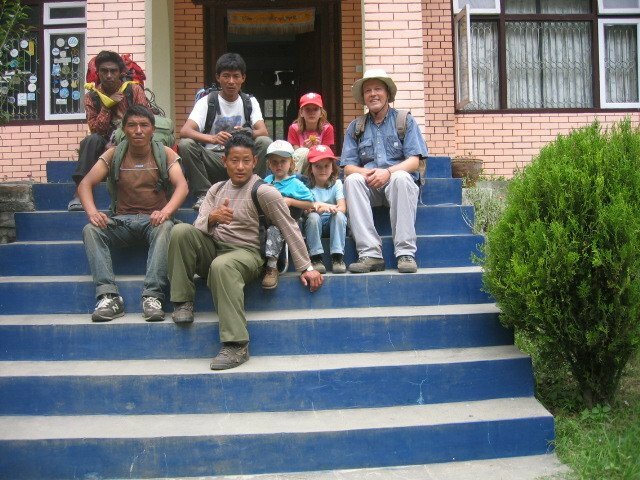 The trek is ideal for families with children as it provides you ample time to interact with the local Tamang people and befriends their children. 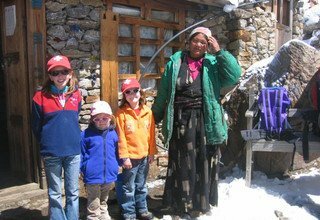 Swiss Family Treks and Expedition is a well renowned and most trusted trekking organizer based in Kathmandu. 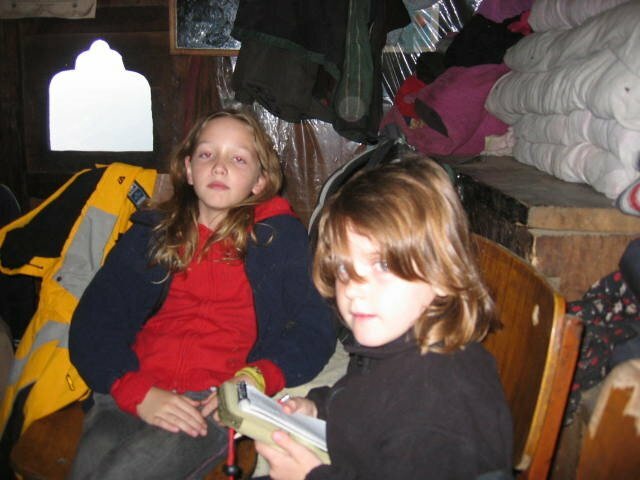 All our family trips are well crafted with the utmost concern for the safety and comfort of your family. 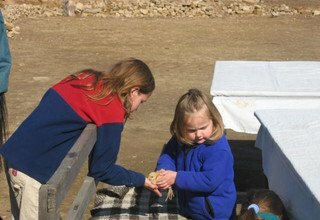 We provide you with the best transportation and accommodation facilities and also provide porter services to carry your child below 5 years of age. 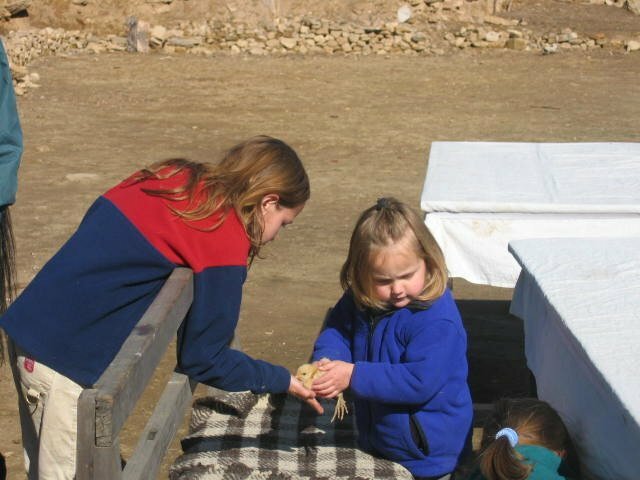 In case of prior information, we can provide ponies/horses for your children as well. 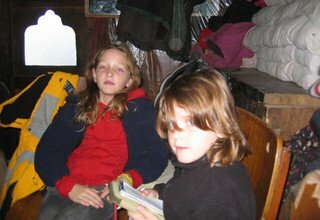 For a memorable family holiday in Nepal, remember us! ancient Buddhist monasteries, Natural Hot Spring, Parbati Kunda, Nagthali view point, Rasuwagadhi (Tibet Border). Upon your arrival at Tribhuvan International Airport, Kathmandu, our team representative meets you at the airport and transfers you to the hotel by private vehicle. Overnight at a 3-star hotel in Kathmandu. Today we drive to Sybrubensi leaving Kathmandu behind. We drive through the highway moving alongside Trishuli River. The road to Sybrubensi is smooth till Trishuli and gets bumpy and rough with dust afterward. Enjoying the roadside view throughout the ride, we reach Sybrubensi, which offers great views of Langtang Lirung (7227m) and Ganesh Himal (7422m). Overnight at lodge. Today begins our first day of the trek to Gatlang village from Sybrubensi. The trail steeply ascends till Rongga Bhanjyang. We then descend until we reach Golijung village. From there, we again make a gradual ascend until reaching the traditional village of Gatlang inhabited by the Tamang people. 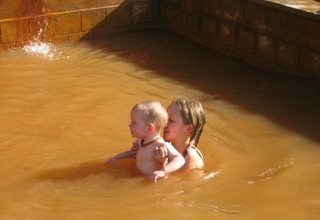 We can visit Parvati Kund and an ancient old monastery in the evening. Overnight at lodge. Today we head towards Tatopani gently descending through the forested path. We also pass through the many Chortens, colorful prayer flags, and Mani walls on our way to Chilime. We continue to trek crossing a suspension bridge and making a gradual ascend through terraced fields until we reach Gonggang village. We keep on ascending until we reach Tatopani. 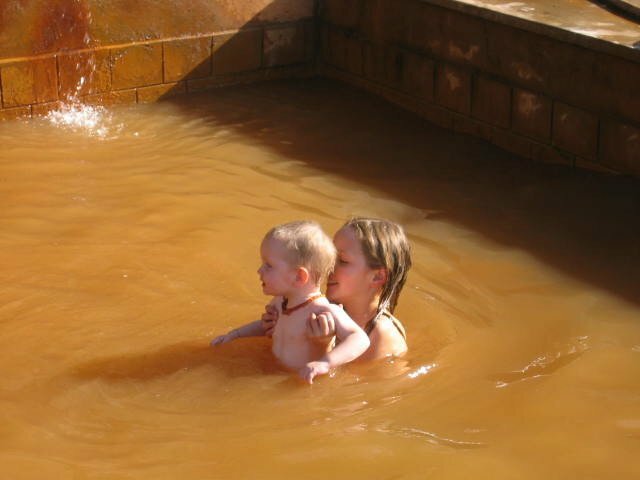 You can take a relaxing bath in the natural hot spring of Tatopani. Overnight at lodge. Leaving behind the Tatopani we trek through the dense alpine forest that leads us to the small Tamang village of Brimdang. From there we ascend to Nagthali viewpoint (3165m) which offers an extraordinary view of Langtang Lirung, Shishapangma, Ganesh Himal, Tibetan Himal and other different mountain peaks. Overnight at Lodge. Today we head towards Timure village descending past Thuman village inhabited by Tamang community. We continue to descend till Bhote Koshi River and cross a suspension bridge over the river. 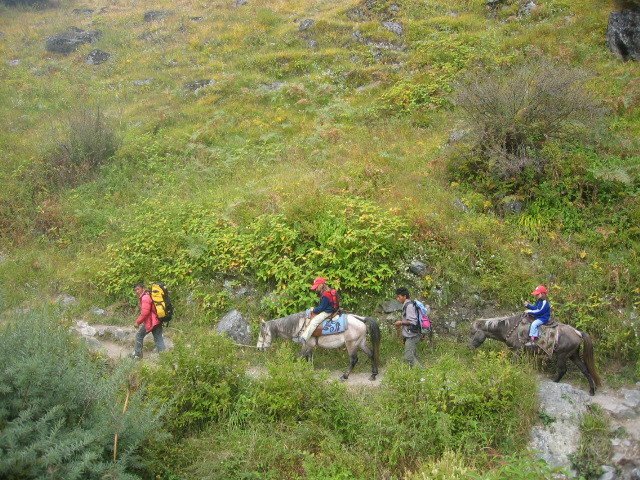 We then follow a trail upstream of Bhote Koshi River that leads us to the village of Timure. Overnight at lodge. Today we take a short hike to Rasuwagadhi (1815m) to visit the historical fort. Relishing the scenic view in the background, we gently ascend to Rasuwagadhi which is a small town bordering with Tibet. The trail we follow is basically an old trade route to Tibet. After spending some time in Rasuwagadhi, we hike back to Timure for the overnight stay. 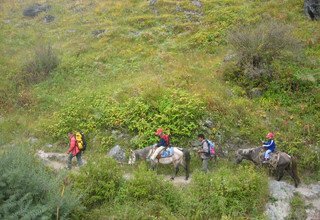 Today we continue to follow a trail upstream of Bhote Koshi River until we reach Lingling. We also gently ascend through rhododendron forest to reach the village of Briddim. Briddim is a small Tibetan influenced village inhabited by the Tamang community. 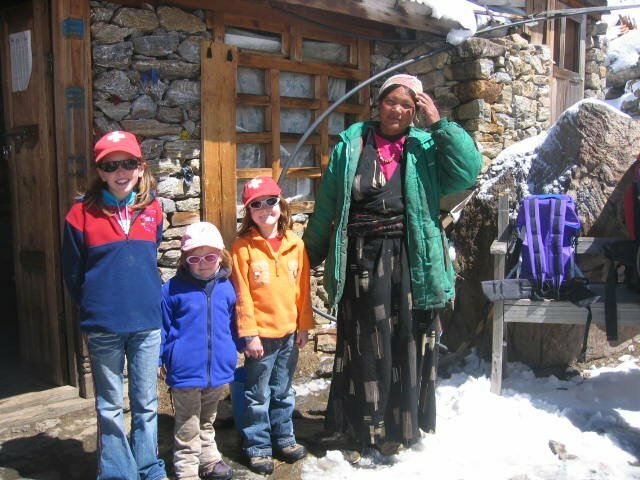 The village is known for its homestay culture which gives us a glimpse of the Tamang lifestyle and culture. In the evening, we can visit Dukchu Monastery. Overnight at the homestay. Leaving Briddim behind, for the last day of the trek, we head back to Sybrubensi gently descending through a forested path filled with colorful rhododendron till we reach Wangal. Accompanied by the beautiful view of Langtang Lirung (7227m) and Ganesh Himal (7422m) in the background, we continue to trek to Sybrubensi. Overnight at lodge. Today we drive back to the capital city from Sybrubensi in a private vehicle. We drive through same rough road till Trishuli. Enjoying the beautiful view of mountains, massive hills, rivers, and daily activities of the local people, we reach Kathmandu. We transfer you to the hotel for the overnight stay. For your final departure, our team representative drops you off at Tribhuvan International Airport approximately 3 hours before your scheduled flight. * 2 nights deluxe accommodation in twin bed sharing basis with breakfast at 3* Hotel Marshyangdi in Kathmandu.